Semi-Determinate, 75-80 days. Black tomatoes with purple-tinged leaves. These were bred by Dr. Jim Myers at Oregon State University for high flavonoids and when allowed to fully ripen, the flavor and aroma are super complex. Heirloom, 28 days baby / 55 days full size. 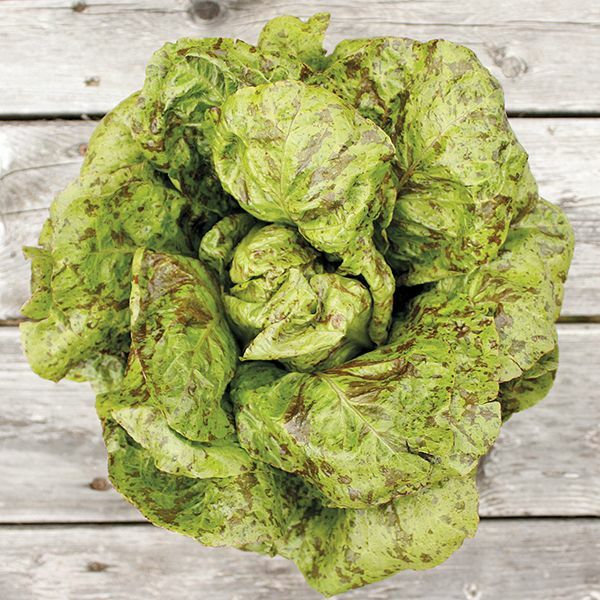 Unusually bright green romaine with red speckles make this lettuce interesting looking, but it also has great flavor. Heat tolerant. Heirloom (dating back to earlier than 1880), 70 days. 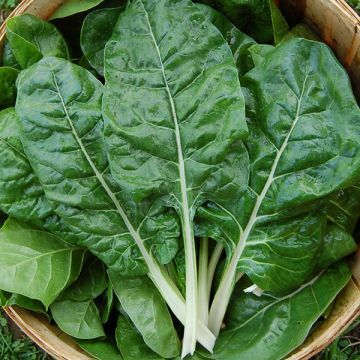 Tender greens with short internodes, these produce heavy, reliable yields and are very heat tolerant. Mild flavor, great for sautéing. 30 days baby, 55 days full size. 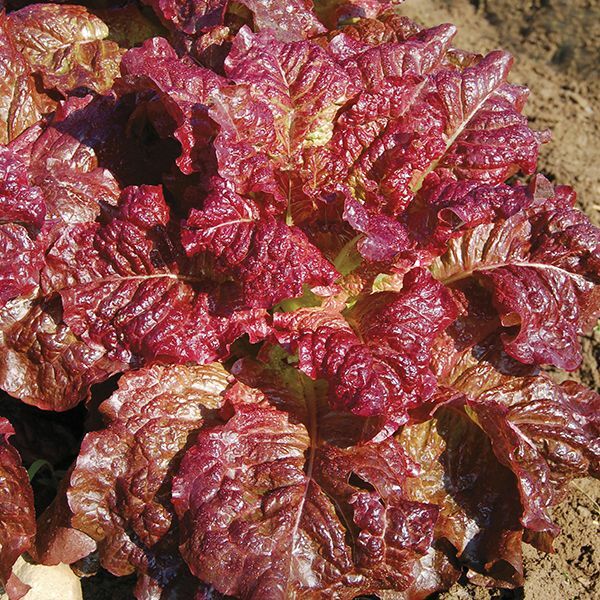 Eye catching SUPER BRIGHT RED/magenta romaine. Nice as a full head but very popular as a baby leaf variety. Indeterminate, 85 days. A standing favorite of ours due to its large fruit and cool colors: yellow with swirls of pinkish red. Heirloom, 25 days baby / 50 full size. Anyone who has ever sautéd chard knows that what looks like a lot turns into very little in the pan. Fordhook Giant Chard will hopefully make up for that fact with its large leaves and heavy yields. Heirloom, 60 days. An early-blooming mix of orange, gold, yellow and cream flowers. They prefer cooler temperatures but will continue blooming all summer. Nice for cut flowers but petals are great in salads, too. We also have a whole bunch of seeds from last year that were just marked down to 50% off. If that's not enough planting inspiration, click here for High Mowing's staff picks. The almanac says the last frost is going to be early this year (April 1st-18th for the NY Metro area) so you want to get your fruiting plant (tomatoes, peppers, eggplants, etc.) and flower seeds started pretty much NOW. Stop in for seeds and supplies!